There’s nothing more embarrassing than to have your truck on the hook! Some say it’s no big deal, but for me, it’s embarrassing. I recently left home to take a load to Lynchburg, VA when my truck started making a weird knocking noise. My truck started losing power and the noise got louder. I was travelling route 360 and just entered Amelia county when I slowed to the point I had to turn my flashers on. I barely made to the burned out truck stop on the left. I contacted my dispatch and it took him 14 hours to get someone out there! 14 hours of freezing my buds off, starvin’ like Marvin, and sleepy as a cat!! Even though the temperature outside was 48°, it felt like 30° in the truck. There was no place to go and get warm or to eat. The next morning, my boss called to say a wrecker was coming for me. I said, ‘Yes,thank you because I am really cold.’ Well several hours later he called again to give me the name of the wrecker company ant to find out where exactly I was located. Another few hours later, the man with the wrecker called and said he will be out within the hour. He arrived 4 hours later! Ughhhh! He arrived and told me my boss called him around 12 noon to inform him of my breakdown. 12 noon… I called him at 2 a.m.!!! Men!!! I asked the driver to drop me at home on his way to Chesapeake. He did and there I stayed for 3 weeks. Finally, I am back at work in a different truck and dealing with the dreaded ELD’s! Crazy, huh? 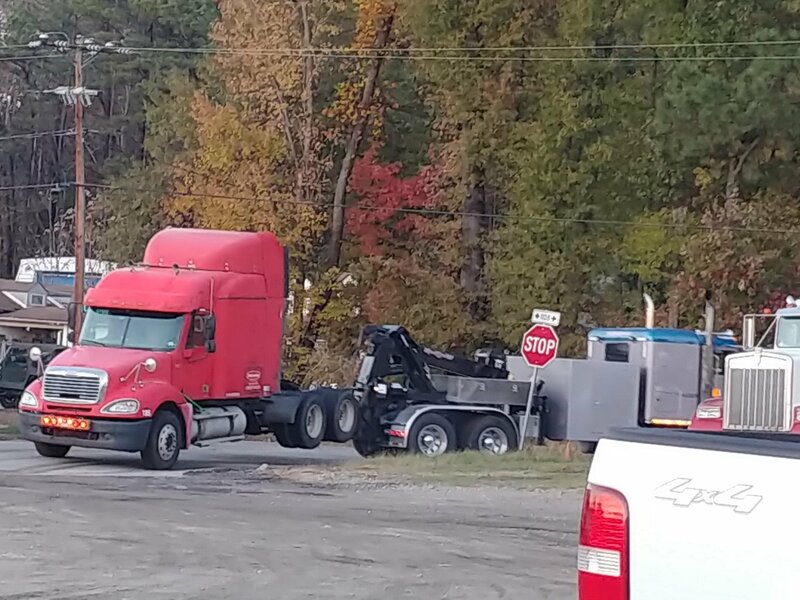 This entry was posted in Trucking and tagged ELD, repairs, Truck driver, wreckers. Bookmark the permalink.